Be Afraid! 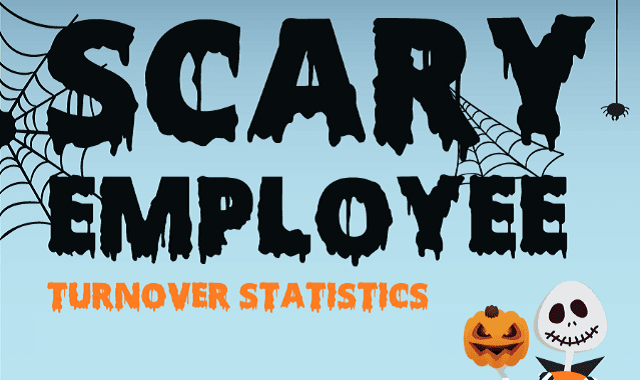 Scary Employee Turnover Statistics #Infographic ~ Visualistan '+g+"
No matter what industry your business operates in, employee turnover is a real issue that needs your attention. As a business owner, your people are your main asset. That's why it's incredibly important to make sure that you are doing everything you can to retain your best employees and make sure that they have the opportunity to grow and develop their careers within your company. It's true that employee turnover can cost your business a significant amount of money. But many business owners underestimate just how much money they can lose when an employee leaves their team. First of all, you are losing money when trying to find a replacement. Putting out ads, using recruiters, that all costs money. Plus, you are losing money on productivity for every day and week that your business is short-handed. Even when you do find a new employee to replace your old one, you still continue to lose money on productivity while you are onboarding and training that person. By the time your new employee is up to speed and working up to his or her potential, you are probably already a couple thousand of dollars in the hole. If you want to do something about employee turnover, you need to start right now. The best way to combat employee turnover is to make sure that you are doing everything within your power to make sure that your best employees are happy working with you and that they intent to stay with you for the long run. The best way to do this is by molding your company culture and policies in a way that's going to enable these employees to grow and develop their careers within your company instead of having to look to other business when it comes time for them to learn new things and achieve new career goals.